Some rhyming guys. When I was drawing this one, I had no idea it would become part 1 of a webcomic series. There might also be Moodle, the open-source teaching software. Doodle #1: I'm a doodle! 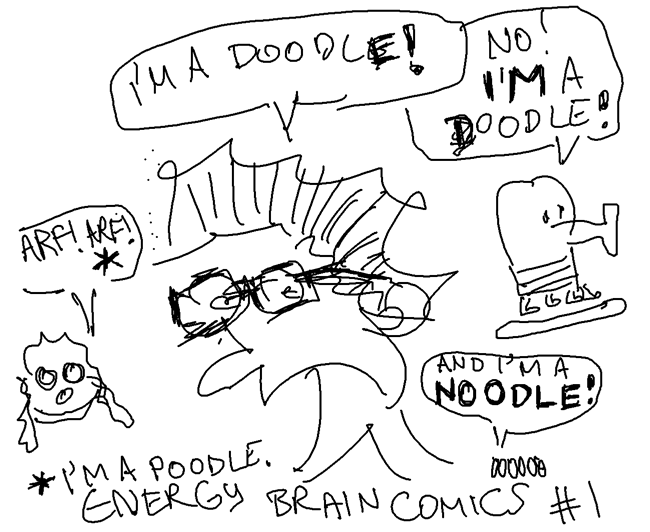 Doodle #2: No, I'M a doodle! Noodle: And I'm a noodle!